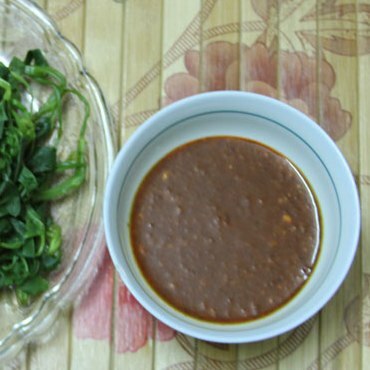 Vietnamese dipping sauce (nước chấm or mắm chấm) is an important element in our daily meals, especially going with traditional foods. There’re many types of dipping sauce to serve with different dishes. Therefore, if you going to a Vietnamese restaurant, you may see that one gourmand has as many as five to seven bowls of dipping sauces around him/her (if waiters haven’t had enough time to take the empty cups/bowls away). 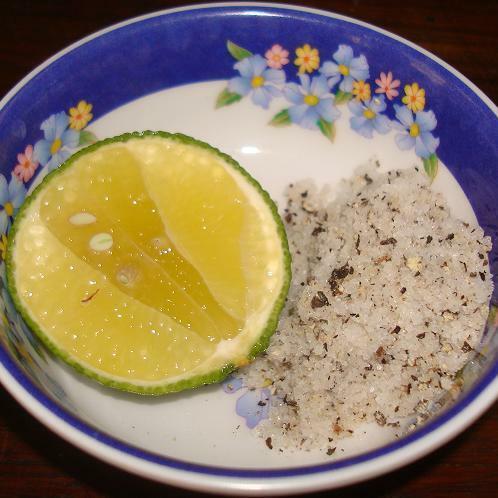 Vietnamese use specific dipping sauce for a particular food. In other word, some foods must go along with certain seasoning sauce. For instance, spring rolls go along with garlic chili diluted-fish sauce, while tofu suits with limeade shrimp sauce, and so on. That shouldn’t be otherwise, or diners won’t savor complete flavor of the foods, and may even damage their appetite as well. In my family, my mum can make a very tasty dipping sauce, especially for fresh herbs and fish soup (riêu cá), and spring rolls. I myself can also prepare pretty yummy sauce (I am not a good cook though :). And below is how I myself make the dipping condiment for my family, only sometimes. 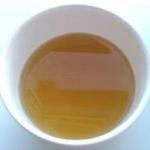 Stir the mixture well with a little fresh water to dissolve the sugar and glutamate. Pour fish sauce in until it turn to light amber color. Taste to make sure the balance of sweet, sour, salty and spicy; add elements that I don’t feel enough. Frankly, when prepare this, I have to taste many time, try to feel then adjust elements until I satisfy. You know what; my wife agrees that I can do better than she does. To tell the truth, I’m also proud of my tiny culinary skill. Above is my way. Other people can change process sequence or recipe to some extent. 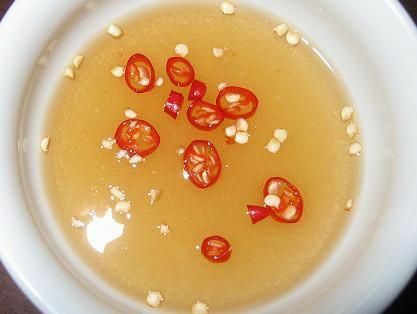 For instance, they may use fish sauce in the first step, and then add other ingredients in. That’s fine, as long as they can keep the distinct taste and look of Vietnamese dipping sauce. 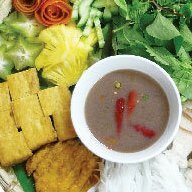 As I said, Vietnamese prepare specific dipping sauce for different dishes. I don’t know the recipe and method, so can’t write a complete guide of how to make them all. 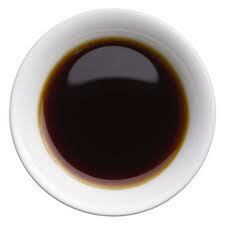 Listed below are just names and images of Vietnamese common dipping sauces for your reference. 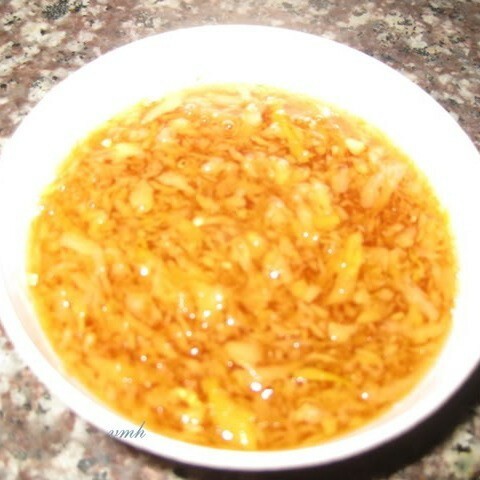 Ginger fish sauce (mắm gừng): served with grilled fish or boiled duck. Dipping sauce reflexes variation of my country’s cuisines, and I hope you have a chance to taste some of those delicious Vietnamese dipping sauces. By now, if you find useful information here, would you mind encouraging me with a Like button? If you don’t, please share your opinion and comment if possible; I’d love to hear from you.